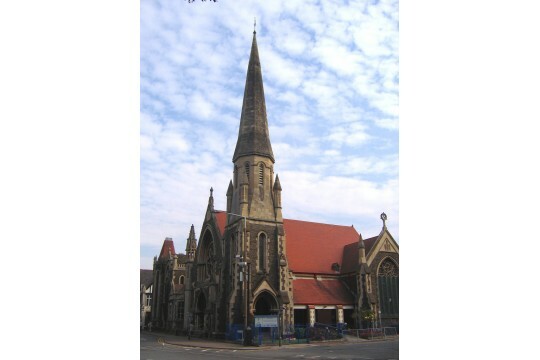 The Trinity Centre is an outreach project of the Methodist Church in Cardiff. It has provided a base for work with refugees and asylum seekers for the last 10 years, working closely with other organisations and partners to provide a welcome and practical support. We support those of all faiths and none, and our aim is to make those most in need feel welcome to Cardiff. As a Centre, Trinity works with some of the most disadvantaged and vulnerable people in our community. Groups working within the Trinity Centre provide food and clothing, advice, companionship, English language tuition, trips and outings, recreational and sporting activities, one-off projects (gardening, photography, art), help with childcare, music events, and lots more. Trinity also has its own side projects - Global Gardens and Trinity Football Team. Click on 'my projects' to learn more!